With a disdain for buzz kills, it’s also our aim to provide accurate, insightful and useful information in our regular feature “Predictions” in advance of it occurring. Sadly and like many a lofty goal it isn’t always achieved, much like the quest for a new track record at Indy this year. 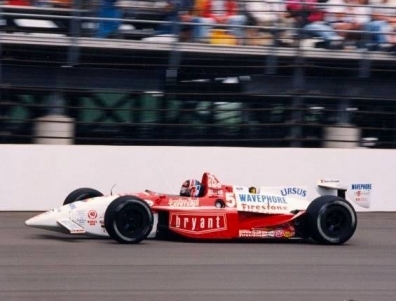 The current four lap qualifying record of 236.9 was set by flying Dutchman (and unfortunately named) Arie Luyendyk in a Ford/Cosworth way back in 1996. Ah, the good ol’ days. That record’s stood safely for two decades now and we predict it will remain on the books for at least another year. The current combo of small engines and LOTS of new aero kit bits just isn’t going to do it, as the top speeds in practice haven’t even cracked 230 yet without a tow. IndyCar will boost the turbos this weekend, but it still won’t be enough. Worse still, a disturbing trend of cars taking flight has emerged at the Speedway this year, though fortunately thus far the drivers have escaped unscathed. 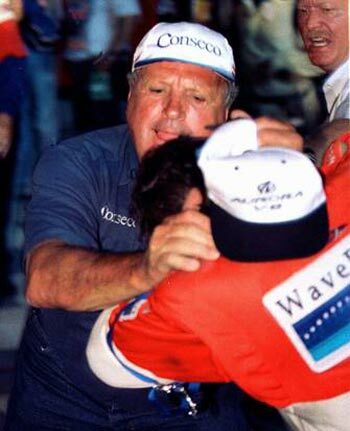 We predict the series will take note of these nearly catastrophic incidents and wisely choose to err on the conservative side at Indy. This season’s seen enough aero kit issues already. As for pole winner, it’s a fairly narrow group of top Chevy teams and drivers who have a realistic shot at it. The usual suspects Penske, Target and CFH are the best bets, with KV also a contender. The Hondas simply don’t have it this year, as Ryan Hunter-Reay, Michael and Marco Andretti all have frankly admitted. Who’ll win pole and its $100,000 prize from among those four teams and dozen drivers depends upon many variables. The random drawing for qualifying order is important, as it determines who enjoys the most ideal track and weather conditions, which change greatly throughout the day. In reality, there’s a large amount of chance involved in qualifying at Indy, although experience on the two and half mile oval is key. For the third year in a row, the old Butler Bulldog Ed Carpenter will lead the field to start the 99th running of the Indianapolis 500. Interestingly he’ll be the first three consecutive year pole sitter in the race’s long history, assuming he can edge out Pags and the Penskes. Carpenter’s pole speed last year was 230 mph and that seems about right again for 2015. With added turbo boost for pole day, we predict a pole speed in the 232 range, possibly 233 – still well short of Luyendyk’s record. Qualifying will be an exciting show however, as guaranteed by the series’ non-traditional “fast nine” shootout format. Enjoy qualifying weekend and check back often for updates throughout Indy 500 week. This entry was posted in 2015 season, Indianapolis Motor Speedway, Indy 500, IndyCar, irreverent humor, new track record, pole sitter, qualifications and tagged aero kits, Arie Luyendyk, CFH Racing, Chevy, Ed Carpenter, Ford, Honda, KV Racing, Marco Andretti, Michael Andretti, Ryan Hunter-reay, Simon Pagenaud, Target, Team Penske, turbo boost by IndyRaceReviewer. Bookmark the permalink. Rootin’ for Carps!!! 3rd times the charm.